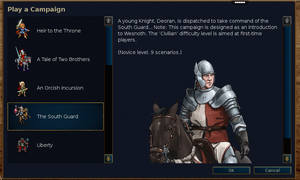 Turn-based tactical strategy game with a high fantasy theme, featuring both single-player, and multiplayer combat. 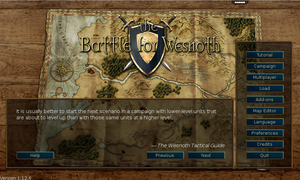 Explore the world of Wesnoth and take part in its many adventures! 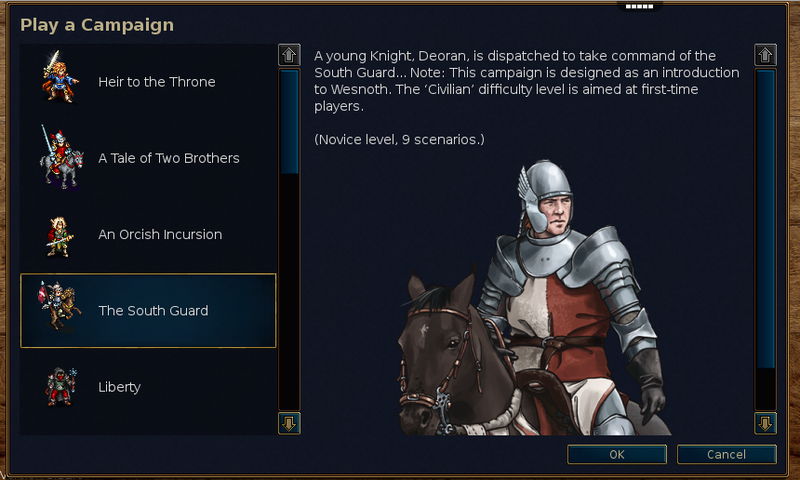 Embark on a desperate quest to reclaim your rightful throne... Flee the Lich Lords to a new home across the sea... Delve into the darkest depths of the earth to craft a jewel of fire itself... Defend your kingdom against the ravaging hordes of a foul necromancer... Or lead a straggly band of survivors across the blazing sands to confront an unseen evil. 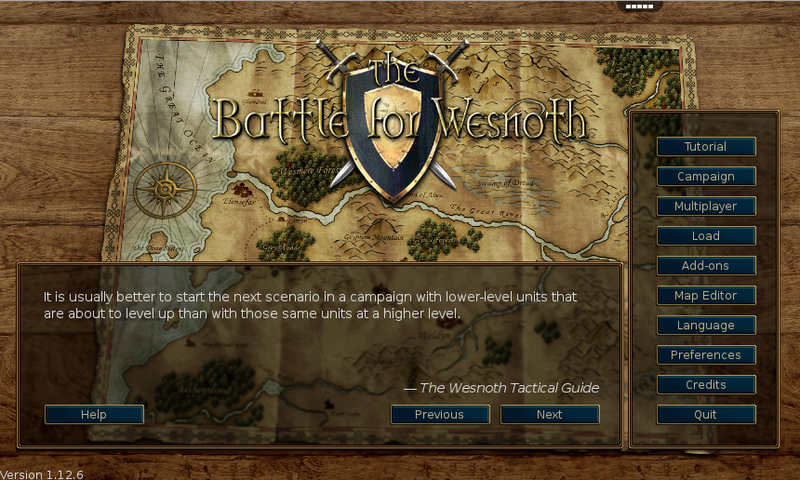 I love Battle for Wesnoth, but this online interface is really slow. I don't know if there's any way to fix it or if anyone else is having more luck than I am, but thanks for all the work you've already invested.